The project VR-RLX focuses the idea of using Virtual Reality technology to reduce stress and anxiety of patients during medical treatments. Distracting patients and shifting their attention to a virtual relaxing world is the key aspect of this research project. 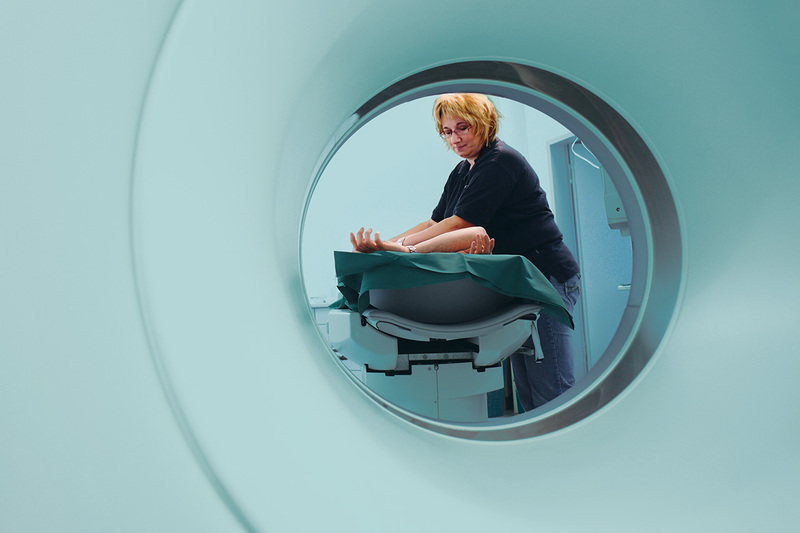 Though the medical examination in MRI scanners is harmless many patients, especially children often react with strong defense reactions. Hence, the use of sedatives is a common medication-based approach to relax patients though several risks exist. We believe in an innovative use of entertainment technology for the improvement of the healthcare and the subjective comfort of the patient while reducing potential risks. To achieve this, we joined forces with our partners from medical technology and the entertainment industry to create a VR system including hard- and software tailored to this application. For the use of VR in MRI scanners, this project aims to introduce a special MRI-suitable Head Mounted Display (HMD) that will allow creating an immersive and playful virtual environment, thus a joyful experiences regardless of the oppressing narrowness and deafening sounds. Developing effective strategies to reduce anxiety and stress by identifying and implementing immersive media will be the main task for the core concept of this future-oriented project. Further Information can be found at the UDE / Entertainment Computing Group.